Kim Il-sung (1912-1994) was a communist soldier, revolutionary and the self styled ‘Great Leader’ of North Korea. 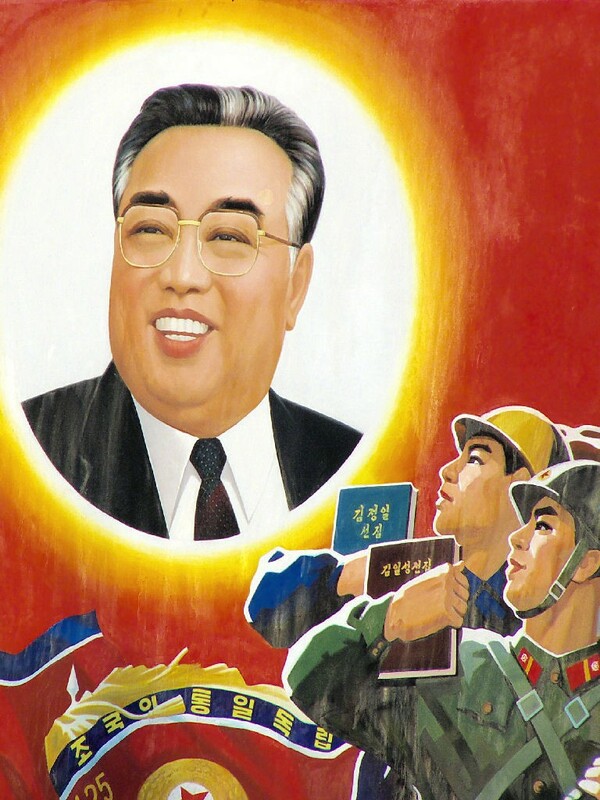 He governed as North Korea’s founding ruler and Stalinist leader for almost five decades. Our knowledge of Kim Il-sung’s early life is confused by conflicting accounts and layers of communist propaganda. He was born Kim Song Ju near the city of Pyongyang, the son of Christian parents (some reports describe his father as a liberal-minded teacher, others as a religious herbalist). When Kim was an infant his family fled the Japanese occupation and moved to Manchuria in northern China. Kim attended school and received a typical Chinese education, however by his mid-teens he was already interested in radical politics. Kim reportedly joined the Communist Youth League in 1926. The following year he was imprisoned for his political views by the anti-communist Guomindang government. Kim was released around 1930. According to official histories he received military training at the Huangpu Military Academy in southern China, before returning to Manchuria to lead the anti-Japanese resistance. During the 1930s Kim allegedly commanded a regiment of several hundred men, earning a place on a Japanese ‘hit list’ of guerrilla leaders. In 1940 Kim crossed the border into the Soviet Union and volunteered for service there. He received training in Moscow and was given a captain’s commission in the Soviet Red Army. He served for the duration of World War II, though there is little concrete information about where he served or what he did. Following the Japanese surrender, Kim was suggested to Joseph Stalin as a potential communist leader on the Korean peninsula. Stalin agreed and Kim was sent to northern Korea to prepare for leadership. This included a crash course in Korean, which Kim could only speak at a basic level. In December 1945 Kim Il-sung was named chairman of the Workers’ Party of Korea (WPK). He became premier of North Korea on its formation in September 1948. Kim despised Western interference in Korea, particularly by the United States, and sought to reunite the Korean peninsula under his rule. With Stalin’s backing Kim ordered North Korean troops to invade South Korea in June 1950. When a United Nations coalition intervened, Kim’s forces were pushed back over the border; only the involvement of the Chinese military saved his regime from being toppled. After the 1953 armistice, Kim moved to strengthen his hold over North Korea. He centralised government power, purged the WPK of his opponents and positioned himself at the centre of an intense personality cult. Known simply as “Great Leader”, Kim’s countrymen came to revere him as an almost godlike figure. Kim’s regime closed North Korea off from the rest of the world: foreign trade, travel and culture were outlawed, while diplomatic relations were confined to China, the Soviet Union and other communist countries. 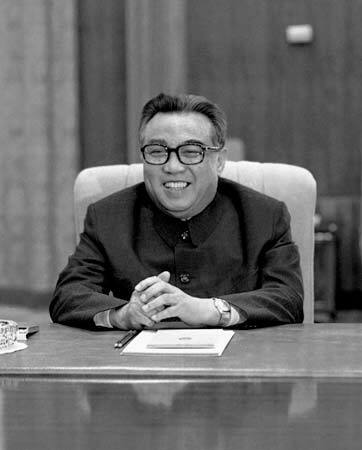 Kim Il-Sung died from heart failure in July 1994. He was succeeded by son, Kim Jong Il, who ruled North Korea until his own death in 2011. The nation is now ruled by Kim Il-Sung’s grandson, Kim Jong-un, who maintains North Korea’s isolation and Stalinist authoritarianism. J. Llewellyn & S. Thompson, “Kim Il-sung”, Alpha History, accessed [today’s date], https://alphahistory.com/coldwar/kim-il-sung/.